2nd January, 2017 (Lahore) : Due to sharply declined trends in Oil prices, slow economic pace & Arab spring, the trend of the Islamic Banking & Finance had been slow paced in 2016 in Middle East and Arab region, while a sufficient development was recorded in Africa, Central Asia & Far East. especially in African market. For the broader understanding of Islamic Finance Industry, we can divide Islamic Finance industry into five major components e.g. Islamic Banking, Sukuk, Islamic Fund/Asset Management, Takaful & Islamic Microfinance. 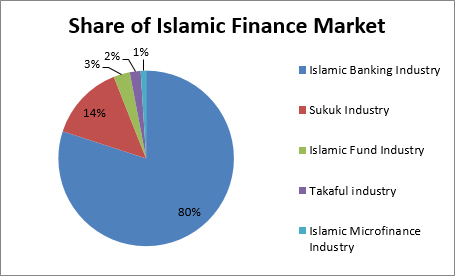 Islamic Banking is the greatest contributor in Islamic Finance Industry, which contributes 80% to the total $ 2.3 trillion Islamic finance industry, while Sukuk contributing 14% volume in Islamic Finance industry and ranked as second largest contributor, Islamic Fund/Asset management Industry with 3% is ranked as 3rd while Takaful Industry is contributing 2% with slow pace and Islamic Microfinance contributing 1% stands as last. By 2017, the total volume of Islamic Finance Industry is expected to be USD 2.7 trillion. Indonesia, Malaysia, Turkey, Pakistan, U.A.E, Qatar, Saudi Arabia, Kuwait & Bahrain are prominent where the contribution of their total assets of Islamic Banking is 82% to the Global Islamic Banking market. According to the increment in assets of Islamic Banking, Kingdom Saudi Arabia stands first, but as per new Islamic Banking market entrance, Morocco, Uganda, China & Russia are expected to have a good start in Islamic banking by 2017. According to a research by Mr. Muhammad Zubair Mughal, Chief Executive Officer - AlHuda Center Of Islamic Banking & Economics (CIBE); There will be a steady growth of Approx 13% - 15% will be shown in Islamic Finance market during 2017 and the total volume of Islamic Finance will crossed 3 trillion USD figure by 2020, which will be accompanied by a definite addition of Sukuk alongwith Islamic banking. While the Sukuk market in Malaysia, Pakistan, U.A.E, Turkey, Central Asian countries and Africa seem determined in 2017. According to the prospects, Sukuk worth 78 billion dollars approximately are expected to be issued which can define the total volume of outstanding Sukuk up to 350 billion dollars. It should be clear that ICD will be rendering its contribution in flourishing Sukuk at global landscape especially in african countries. It should be clear that Takaful Industry, unfortunately, has lacked far behind in 2016. While Takaful companies are found default in Pakistan, South Africa and some other countries due to lack of regulations, performance Issue & various Models etc. In spite of all these reasons, it is expected that the total volume of Takaful industry will reach up to 25 billion dollar till the end of 2017. 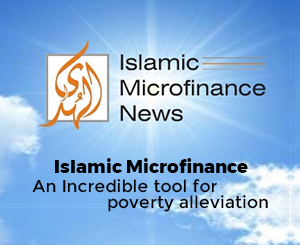 As far as Islamic Microfinance is concerned, certain positive changes have been seen in 2016, new microfinance models were introduced with the amalgamation of Micro-Takaful, Fintech, and social finance along with various Islamic microfinance products. It is hope that the volume of Islamic Microfinance could reach up to $2 billion dollars globally by the end of 2017 while the total number of Islamic Microfinance Institutions will reach up to 400 Institutions/Bank. In 2017, many new Islamic Finance markets are seen to be emerging on the horizon in the world. If we see on the regional basis, in East Africa, we find that Uganda has recently passed an Islamic Financial bill through Parliament, Islamic banking & Finance in Kenya and Tanzania is already flourishing very well. Morocco & Tunisia are emerging markets in North Africa while Nigeria, Senegal, Mauritania, Ivory Cost in West Africa has an organized system of Islamic Finance while Sukuk is also strengthening its roots in these regions. As far as Central Asia is concerned, 2017 will prove to be a better year with respect to the previous year. Its main reason is the increasing tendency of Russia towards Islamic Banking & Finance, the countries in central Asia are closer to Russia in Banking & Finance despite its having been separated from USSR, while Donald Trump as a businessman entity is perceived positive for the development of Banking& Finance industry in USA, definitely, Islamic Banking and Finance will be benefited from his agenda, In USA where more than 25 Islamic Finance institutions are already working. After Brexit, David Cameron’s dream to make London as a hub of Islamic Finance seem to get shattered and UK Islamic Financial market will remain subjected to pressure & slow pace in 2017. Although Modi reign in India has exhibited a soft attitude regarding Islamic banking & Finance in 2016, But still there are no prospects of establishment of Islamic Banking in India in 2017. It seems that in India with having 2nd biggest Muslim population in the world, Islamic banking is being treated as religious product instead of Banking product, and a lot of bad politics and lack of religious harmony have been shown on this subject. While in 2017, China will be enter properly in Islamic Finance. China’s CPEC’s project with Pakistan and increasing tendency in Muslim world register the basic reasons to it. If we have look at worldwide Islamic Banking & Finance regulatory level, 36 countries maintain an organized legal and regulatory framework. According to careful estimates, 42 countries will establish a proper legal & regulatory system in 2017 where organizations like IFSB, AAOIFI & IDB will play a pivotal role. In 2016, the governments of various countries has played a important role in flourishing Islamic banking & Finance which include Pakistan, U.A.E, Morocco, Kenya, Tunis, Turkey, Saudi Arabia, Oman & Russia, which will exhibit a tremendous growth in the industry in coming future.